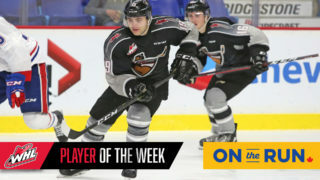 Calgary, AB – The Western Hockey League announced today that Red Deer Rebels forward Brandon Hagel has been named the WHL Player of the Week for the week ending March 19, 2017. Hagel registered 12 points (6G-6A) in four games to help the Rebels go 2-1-1-0 this past week. On Tuesday, March 14, Hagel recorded four points (2G-2A), including the game-winning goal, in an 8-3 win at Medicine Hat and was named first star. 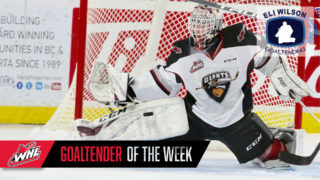 On Wednesday, March 15, he secured another four points (2G-2A), including the game-winning goal, in a 5-1 win versus Calgary as the Rebels clinched third place in the Central Division. That performance was worthy of a second consecutive first star. The Edmonton Oil Kings managed to keep Hagel off the scoresheet on Saturday, March 18, but he responded with his third four-point effort of the week, tallying two goals and two assists on Sunday, March 19, in a 5-4 overtime loss at Edmonton. On the heels of a breakout campaign in 2015-16, the 18-year-old product of Morinville, AB, enjoyed a career year in 2016-17, posting 71 points (31G-40A) in 65 games, establishing new career highs in each category. 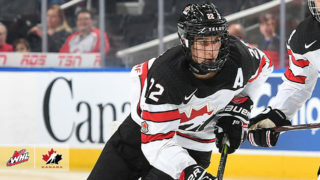 Selected in the sixth round (159th) of the 2016 NHL Draft by the Buffalo Sabres, Hagel finished the regular season second on the Rebels in overall scoring. The 6-foot-1, 165-pound left winger was an undrafted signee of the Rebels in September 2015. 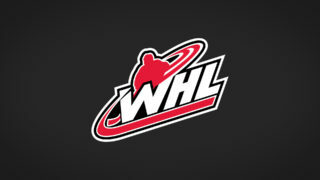 In 137 career WHL regular season games, Hagel has amassed 118 points (44G-74A. 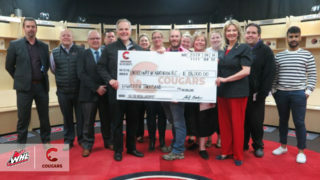 Hagel and the Red Deer Rebels will face the Lethbridge Hurricanes in a best-of-seven series pitting the Central Division’s second- and third-place teams against one another to open the 2017 WHL Playoffs. Game 1 is scheduled for Saturday, March 25 (7 p.m. MT) at the Enmax Centre in Lethbridge.